You've been invited to a wedding. You go shopping and buy something nice to wear and your job is done. All that is left to do is attend the wedding and reception. But there is much more to it than just that. There are actually rules that you should read up on. It will determine whether you'll be remembered as a pleasant guest or THAT guest. Wedding Wire did a survey and asked 800 guests rules that they know they have broken at weddings. So I will add some of the percentages throughout the post. Read on to see the correct etiquette for attending a wedding and reception. Simple enough, just RSVP. And RSVP on time. It may not seem important to you and you may think to yourself that one RSVP not returned won't make or break their wedding. Well, actually it is important. This helps the couple determine the amount of food they will need. It will also help the couple from having to track you down and ask if you are attending or not. It will also minimize their stress level of knowing how many guests to expect. If you receive an invitation and it says your name but does not say "+1" or "and guest" then you'll have to attend solo. Also, don't contact the bride or groom asking if it's okay if you bring a guest. The couple isn't being rude by not allowing you to bring a guest, typically it's just not in their budget for anyone extra to attend. Wedding Wire found during their survey that 9% of people brought a guest even though it was not on the invitation. The first thing to remember is not to one up the bride or groom or distract from them. But definitely don't look like you are making a casual trip to Wal-Mart. So unless the wedding invitation says jeans are okay, don't wear jeans. There are a few rules when deciding on something to wear to a wedding. First, don't wear white. Second, you can wear black to a wedding. I suggest dressing it up with some jewelry. Third, take into account where the wedding is taking place at. If it's in a Catholic church, dress appropriately. There are times when it's just plain obvious to silence your phone and when you're attending a wedding this should be one of those times. Crazy enough, guests don't. A few of the weddings I have been the photographer at, this has happened. And while it may give everyone a little laugh it still is a rude. Wedding Wire found out that 8% of guests have had their phone ring while attending a wedding. It's actually common these days to not bring a gift to the wedding. And definitely don't bring a big gift. The main reason being that the last thing the couple wants to mess with after their reception is trying to figure out how to get a bunch of gifts home. The best idea is to send your wedding gift to the couple prior to their wedding. Most of the places if not all that the couple register at have the option to send the gift directly to the couple. Whether the couple lets you know their wedding is unplugged, meaning they do not want any phones, tablets, cameras, or any other digital devices being used during their wedding, you should assume they want the photographer that they hired and paid a good amount of money for to take their pictures. It can be distracting and you may get in the way of the photographer or if you have your flash on, it may interfere with the photographers photos. Over 50% of guests took photos during a ceremony, 27% posted the photos on social media while the ceremony was going on. Drunk obnoxious people are annoying period but being a drunk obnoxious person at a wedding reception is just disrespectful. Even if it's your best friend getting married, which probably means you may be in the wedding, you are still a guest and should act as such. Wedding Wire's survey found that 17% of guests drank too much. The couple took the time to make a seating chart so please follow it. Creating a seating arrangement is not an easy task. If there are a lot of people then designing a seating chart probably took quite a bit of time to plan out. You will be able to get up and mingle with everyone once the dinner is over. Have you broken any of these rules? Did any of these happen at a wedding you attended or even happen at you wedding? Let me know in the comments! 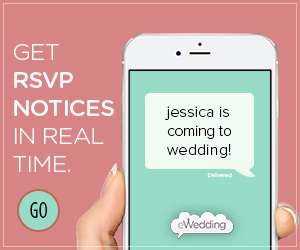 Your wedding is a big deal. Most girls have dreamed about it since they were little. TV, movies, and magazines have given us this picture in our head that weddings should be extravagant and over the top. But they also aren't paying for our weddings. In reality we have to be smart about spending money for our wedding. You may be one of the lucky ones who has their parents paying for it all. More and more though, we see that couples are doing it on their own. I had wrote a blog the beginning of March called Forgotten Wedding Expenses. I wrote about the small details that are often forgotten about when budgeting for your wedding or the details that add up in the long run. The Cost of Wedding says “The average cost of a wedding is $25,764. Couples, on average, spend between $19,323 and $32,205, but most couples spend less than $10,000.” The Knot says that in 2016 the average was $35,329. They also stated, "This is actually the first time we've seen a dip in the average cost per wedding compared to the previous year with the cost being $33,391 in 2017. She also said that her clients spend between $6,000 and $11,000 on wedding flowers. To me that is just insane! I can not imagine spending that much money on flowers that are just going to die. I personally would stick with fake floral arrangements. They will be cheaper and they can be kept and displayed. Yes, fresh flowers smell amazing and add a touch to weddings, but I just don't think it's that important of a touch or that great of smell for that price. If you absolutely have to have real flowers for your wedding or want them incorporated in your wedding, get real flowers for your bouquet. At least your bouquet will be in a lot of the photos. My previous blog post, Tips On Making Your Wedding Guest List, will help you minimize the number of guests you invite. You have to remember that everyone you invite is also a price tag. While you want to invite everyone, sometimes your budget just won't allow it, your venue also may not allow for it. The average cost of each guest varies state by state. A website called Value Penguin reported in 2017 the state with the lowest average cost per guest was Mississippi at $91 and the state with the highest average cost per guest was New York (Manhattan) at $630 ?, I understand New York is an expensive place but wow! I live in Indiana and the average cost per guest is $137. It's definitely not a crazy stupid high number like New York, but it still is up there for my liking! If you invite 140 (average number of guests nationwide) people and they all come, attend the reception, eat and drink you are looking at $19,129 just for guests! You haven't even seen the cost of a photographer, the dress, or anything else!! You also have to factor in the type of food you will be having and how much the caterer will cost. After you have gotten engaged you start looking at the bridal magazines and there are so many gorgeous dresses, then you look at the price, that slight moment of telling yourself you have to have it suddenly is a thing of the past. Remember that you only wear your wedding gown for a short amount of time. The Knot did a study on wedding costs in 2016. The average price of a wedding gown in the US was $1,564. I'll be honest, I was expecting a higher number, but it's still a pretty high number. We can't forget the accessories either. The average cost for accessories, which include the veil, lingerie, and shoes is $301. There are so many other routes to go when purchasing your wedding gown. There are consignment shops, consignment bridal stores, and even Facebook where you can find women selling their gowns. Also, bridal stores will have big sales in the winter and summer to make room for the next seasons new wedding gowns. If you are going to pay a lot of money, this is where you want to spend it. The photographer and videographer are the ones that are going to capture all of the memories from your day. You do not want to hire a photographer or videographer that does not know what they are doing for this very critical task. Being a wedding photographer I hear it all the time, "that is crazy that is costs so much for a photographer". 7 years ago when I hired my photographer for my wedding I was a bit blown away by the price I was quoted for my photographer. After becoming a photographer and doing everything that is involved I now know why wedding photography is priced the way it is. The average cost of a wedding photographer is $2,814. Unbelievable, right? Actually no. I can speak for all wedding photographers when I say that we do more than just take pictures. There is so much behind the scenes work that no one sees. You are paying for our time for being at the wedding, our editing time, our equipment, the list goes on. But the $2,814 isn't even the highest. In San Francisco the cost is $3,931. And in Salt Lake City the lowest is $2,215. So...all those who think I'm too expensive, maybe you should rethink that...? . I am actually guilty of this, but I'm also divorced, lol. It looks pretty for maybe a couple of hours and then it's demolished. That or the couple will have a ton of cake to take home. Depending on what you are wanting and how many guests you are looking to feed will determine the cost. So the cost, again, will vary. If you haven't seen the pattern yet, the more guests you have is going to make the cost go up. Bakers determine the cost of a wedding cake by the number of slices. Cost Helper says that the low price for a slice is $1.50, the medium price is $5-$6, and the highest price is $10 and up. According to the Bridal Association of America the average cost for a wedding cake is $543. That doesn't include the cost of delivering the cake. The delivery charges can be between $50 to $100 and up. And that still may not be all of the charges. Some venues charge a cake cutting fee. A cake cutting fee is a fee charged by the reception venue for using an outside establishment and not the reception venues in house pastry chef. The average cost is an additional $1.50 or higher per slice. While it's nice to have a list of order of events for your wedding guests and the names of everyone involved in your wedding, it's simply just not necessary. Think about the last time you went to a wedding. Did you keep the program or throw it away after? You probably didn't save it and most people have no reason to. If you must have them, try going the DIY route. Invitations are another thing to not waste your money on. When I say this I don't mean you don't need them. I just mean you don't have to purchase the most extravagant looking ones. The Bridal Association of America says that the average cost is $659 for invitations. Because there are so many options when choosing invitations that number can be lowered drastically and it can also jump drastically. Wedding invitations per piece can range between $1 and $10. So if you are sending out a 100 invitations and you are on the low end you will be spending $100. If you are on the high end, you will be spending $1,000. And don't forget about the postage! With all that being said, you don't have to go without any of these at your wedding, you just need to do your research and take your time when putting money into any of these areas. How did you save money for your wedding? I would love to hear your tricks and tips on saving money for your wedding! Planning a wedding is hard enough in itself. You have to choose the venue, photographer, cake, colors, etc. The list goes on and on. But deciding on who to invite to the wedding is the most personal daunting task. You don't want to hurt anyone's feelings but you can't possibly make everyone happy. When making the guest list for your wedding you have to take into consideration the size of the venue and your budget. Write down everyone you have ever thought of inviting to your wedding. It doesn't matter if they were your High School best friend and you haven't spoken to them for years. This is just a "dream list". Don't consider your budget or size of the venue. You will "trim" this list later. The best rule to follow for co-workers is to invite all or none. If there is a co-worker that is a a friend outside of your work place this would be an exception. The people that will go under the A list are those who must be at the wedding, there are no doubts. These would be close friends and family. You will want to send this "round" of invitations first. Those that will be under the B list are people who you would like to be at your wedding. On the off chance that you begin getting RSVPs and it turns out you have sufficient "not able to attend," at that point you'll begin sending welcomes to your B-list (in arrange of significance). In the event that you send your B-list invitations as well near to the wedding (inside a week or two), you might as well tell those visitors they are second best. Do it without being self-evident. Send your A-list invitations 10 weeks in progress (a bit prior than regular), which will allow you time to send invitations to your B-list six to eight weeks prior to your wedding. Be careful on Save the Dates (sending RSVPs with a date that has passed is a dead giveaway that the beneficiaries were on your B-list). Hopefully if you allow guests to bring a guest of their own they will respectfully only allow their significant other. You don't want any of your guests to fill awkward and left out but you also don't want to accommodate strangers with a pricey meal and free booze. This is something you will have to think about and see if your budget can handle it. Your parents will have people that they want to invite. You may not even know some of these people. If there is someone such as your Mom's best friend, you could put them on the A list. Someone such as your Mom's friend she doesn't talk to much, put them on the B list. Be sure to talk face to face with your parents and in-laws and let them know the boundaries. You can have an adult only wedding. This is completely up to you. It is not rude so don't worry about that. It is actually pretty common. If you are paying for a very expensive venue and reception hall then the thought of having a bunch of small children running around may make you cringe. You can go the route of inviting only children in a certain age range or only children that are immediate family. On the RSVP cards write in the names of those you are wanting to invite so that they know who is specifically invited. If you receive a card with a name written in don't hesitate to contact the guest and let them know the reasoning the written in name was not on the card. An easy and to the point response is that the budget and/or venue won't allow for extra guests and that you would like to have everyone but it just is not possible. Follow these rules and it will help cut down on your list if you feel you have too many guests. #1 If you or your partner have not spoken to, met, or heard their name before, don't invite them. #2 If you or your partner have not spoke to them in the past three years, don't invite them. #3 On the off chance that there's anybody who's on the list since you feel guilty about taking off them off the list (possibly since you were welcomed to their wedding or they're friends with a lot of individuals who are invited), don't invite them. Are there any helpful tips that you have that you used to create your wedding guest list? If so let me know! The superstition that it’s bad luck to see each other before the ceremony is well, just plain false. As a photographer I prefer the bride and groom to do a first look (the time where the bride and groom see each other before the ceremony) for 3 reasons. The first being it’s so much more special when a couple does their first look. When it is just the bride, groom, and photographer there seems to be so much emotion. They don’t have everyone watching them, which helps. They have time to take it all in and enjoy seeing each in their wedding attire. The second reason is it’s way easier on me as a photographer, which in turn there will be a better turn out of images for the couple. It’s harder to get the bride and grooms reaction at the same time when you’re one person. I mean everyone is standing, you don’t want to get in the grooms view of his bride and vice versa, and you usually don’t have a ton of space. The third reason is I can get so many of the pictures, like all of the family, bridal party, and the couple, done before the ceremony versus trying to get them all between the ceremony and the reception which leaves the guests waiting and possibly getting impatient. It simply takes too long and it usually feels rushed. You can’t really talk with your guests in a receiving line, you are expected to say thank you for coming then hug and move on. I think doing table visits before dinner is served and/or after dinner. You can actually talk with your guests and also you’re able to get pictures. I guess it depends on how many guests you have. Regardless, I think table visits are just more intimate and easier. Have you ever seen how many wedding favors are left behind? And if you’re the bride and groom you know how much money you are throwing in the trash. You can still thank your guests for coming by saying thank you when you do the table visits. It's just as meaningful in my opinion versus candy in a cute little box. Some ideas for giving them something to take home would be a box to take leftover dinner or cake in. Or if you have a photo booth the pictures are a good little memento from the wedding. I think as long as there is some aspect of the bridesmaid dresses that match it will look good but having the dress style, color, and accessories matching perfectly is not needed. Not all of your bridesmaids will have the exact same body type so not one style of dress or color will flatter every bridesmaid in your bridal party. I think as long as you do something like have the same color but different dress styles or same dress style in different tones of a color. And heck, if you want to do different styles and different colors then go for it! I would say if you do different styles and different colors tie it all together by matching their flowers and/or accessories. I see a lot of brides walking down the aisle to a song they picked out. This is the perfect way to show your guests how unique you are. Choose a song that is meaningful to you and your groom, a song that has significance in your relationship, or one that really speaks of your personality. Whatever you choose is fine, remember it’s your day! I personally like white gowns. Whether they have lace, pearls, or rhinestones, I think white wedding gowns look elegant. I have also seen wedding gowns that were not white and they still looked gorgeous. Whatever style and color you feel the most comfortable in or flatters you better than buy that dress and wear it proudly on your wedding day. These are just some of the wedding traditions that you can skip. What are some that you didn't do at your wedding or what are some you plan to skip for you wedding? If you have a budget for your wedding then you know that sticking to that budget is very important and can be difficult to do. A bride typically thinks of the main expenses such as, the dress, cake, vendors, decorations, and food. But there are little things that many couples don’t factor into their budget or just forget about. There are costs for before the wedding and after the wedding that are easily forgotten about. I’m going to list some of the costs that are overlooked. I want to address the average cost of weddings so that you can see how necessary it is to have a budget. This will vary on location and what you choose to have and not have for your wedding. I looked up the average wedding cost on a few different sites. My jaw nearly hit the floor when I saw these costs! Make sure you are sitting down for this one! The Cost of Wedding says “The average cost of a wedding is $25,764. Couples, on average, spend between $19,323 and $32,205, but most couples spend less than $10,000.” The Knot says that in 2016 the average was $35,329. They also stated, "This is actually the first time we've seen a dip in the average cost per wedding compared to the previous year with the cost being $33,391 in 2017. Are these people insane?! The cost of marriage licenses vary from state to state. While doing research, not only does the cost vary by state but some vary by county. There are some states that will charge a reduced fee if the couple participates in premarital counseling for 12-weeks. I found that the lowest is Nebraska, costing $15 and the highest is Minnesota, costing $115. You can look up to see what your state requires and the cost at Find Law. While we are talking about the legal cost of getting married, I’m going to over a cost that is overlooked till after the wedding and you don't realize what all it takes and that is getting your last name changed. There are so many things you have to get your name changed on. Until you go to change your name on things you don’t realize how many different things there are that you have to change your name on. The big ones are your social security card and drivers license. We forget about doctors, bank accounts, job, insurance companies, utility bills, credit card companies...see it’s like a never ending list! 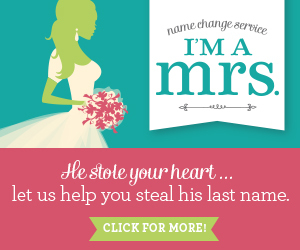 I highly suggest visiting the website, Name Change Kit and purchasing the New Bride Name Change Kit to make it so much easier. Of course this is not a necessity in your wedding but it’s always a fun way to ask people to be apart of your big day. If you look at Pinterest there are hundreds of creative and fun ways to ask your friends to be a bridesmaid. A Gift Personalized and Personalized Cart have a lot of great products. And of course, my all time favorite, Amazon. Because you know they have just about everything! ? Couples don't neccsarily forget about the invitations, it's everything that comes along with it. It's something definitely not thought about when putting together a budget. I know that Save the Dates are a big thing but I personally don’t think they are needed and they are definitely not a necessity. Some other items that are not a necessity but definitely something you may want to have are wedding programs, place cards, and menus. Then there is the cost to send the invitations. Not only will you need stamps for the invitations themselves but you’ll need them for Save the Dates, RSVP cards, and thank you cards. 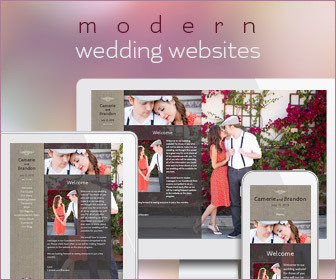 Two websites that I highly recommend are Minted and Polka Dot Design. You want to look good in every way possible for your special day and that means taking some extra steps (and possibly some extra money) to do so. The biggest one is having your nails done. The average price where I live for a manicure and pedicure is about $35 each. Then if you want to do the waxing it can be about $40. Another big thing is spray tans. The average cost for one session is about $22. If you and your girls decide to get ready at the brides house or a bridesmaids house you will save a lot of money. But if you want to go all out or have a large bridal party, you will want to get a hotel room or suite. You’ll probably want to get the room for 2 nights because check out is typically at 11a and more than likely you won’t be done by then. Vendors that are usually at the wedding are the photographer, videographer, the DJ or band, and wedding planner. And yes, you have paid for their service but they need to eat and drink too. You will need to calculate these people into the headcount for the wedding meal. Believe it or not, tipping is expected with some vendors (do your research), and is a way of saying thank you for a job well done. Some vendors include gratuities in their fees, while others leave the amount up to the couple so they can tip based on how happy they are with the vendors service. You won’t have to worry about this if the dress you purchase fits perfectly (this is not common but if it happens kudos to you!) If you have a friend or know someone who alters wedding gowns you may be able to get a cheaper rate but if not alterations are not exactly cheap. Be sure to do your research and find someone who knows what they are doing! For some wedding gowns you will have to buy special undergarments. There is also the shoes, veil, garters, and jewelry. I can’t forget to mention that if you are wearing heels and you’ll be outside, there is an awesome product called heel protectors made by Solemates. It is common to get members of the wedding party or anyone that helped or participated in the wedding, a thank you gift. Next on your list to get a gift for are the bride and grooms parents. Some couples will give siblings, grandparents, and other close friends and relatives gifts. Some couples get each other a gift on their wedding day. You may choose to give the guests wedding favors. It doesn’t have to be anything extravagant. A few ideas that you can do are koozies, candles, candy, and coasters that are personalized with the couples names and wedding dates. A few websites that have a large selection of gifts are My Wedding Favors and Beau-Coup. Depending on the venue, their contract will have more information on this. Be sure to add these fees( if they aren't part of the rental fee) when looking for a venue. So are you surprised at some of these? I know writing this I was like oh yeah, and I've been married! Is there anything I forgot? Are there any forgotten costs that you spaced on at your wedding? Let me know in the comments! 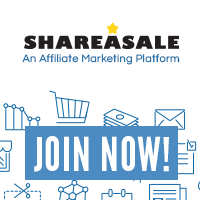 This post contains affiliate links which means I recommend products and services I’ve used or know well and may receive a commission if you purchase them. This is at no additional cost to you. Being a Photographer comes with a lot of ups and downs. It can be hard because a photographer runs every aspect of their business alone. There is no higher management to go to when you run into a problem. There is no secretary to keep track of all of the paperwork or to answer general questions. It’s all on you. You don’t have a team to break down a plan and divide the work up. There are no co-workers to vent to or to help solve a problem. Some of you may be saying to yourself “then why be a photographer and do what you do?" Well, I love photography, I love capturing moments and turning them into a beautiful memory. I love telling stories with my camera. I love being able to make someone see what the world sees instead of the person just looking in the mirror. The smile on their face when they see their images makes being a photographer worth it. Hearing a simple thank you and that I have made it possible for a family to have pictures together...those are the reasons being a photographer is so rewarding and the reason I do what I do. I love working with people, don’t get me wrong. But there are times when people are far from their attitude being all sunshine and rainbows. I do love my photography clients. But even the best clients (and I'm not just talking about mine) have some misunderstandings about photography and the business. Just like any other business there will be issues and irritating situations. You have always heard at businesses that the customer is always right. Well I’m here to tell you that no, they are definitely not always right. Sometimes that aren’t even close. Thankfully being a photographer and running my own business in this day and age allows me to not be COMPLETELY alone. Because of all of the social media we are able to connect with other each other. Especially Facebook! There are so many Facebook groups (and I’m a member of a lot of them) out there that help photographers with things like trying to figure out a problem we’ve run into, getting others input on something, and definitely venting about an issue or problem they have run into with a client. And let me tell you, more than half of the time there are posts about handling clients expectations or a problem or issue with a client. I don’t know what it is but there are clients that feel that they are entitled to so much and often times so much more than what they are getting. How many times have you heard about clients suing their photographer because they weren’t happy with their photos or some other ludicrous reason? Photography clients just simply don’t get it! Many of them have a complete misunderstanding about the photography business. So I am going to go over some of the things that clients don’t seem to get that I see a lot of in groups. Okay, but why are you telling us all of this you may be asking. I'm telling you this to hopefully allow for people to understand that this business is not easy. You can't just give up on us. Nobody is perfect. I don't claim to be. But you better believe if you have an issue that I will do my best to address it and fix it. Here is the kicker, you have to contact me about it first. I don't know that you are unhappy with something if you don't tell me. I can not unfortunately read minds. So now onto the list of things that clients more than likely will never understand about owning and running a photography business or being a photographer. The most frustrating and annoying thing for wedding photographers are the guests that get their phones or tablets out at any point during the time they are shooting a wedding. And even more annoying is when they can clearly see the photographer with a camera taking pictures as the bride is walking down the aisle. You can take your pictures but do you really need to stick your arm out in the aisle?! Or better yet do you really NEED to physically get in the aisle?! Here is your answer...NO! Thank goodness for whoever (I bet it was a photographer or a ticked off bride) the genius was that came up with the idea of "unplugged" weddings! I always tell my brides that it would be a smart idea to state in the invitation that you have a photographer at the wedding to take pictures and that they can sit back and enjoy the wedding. Another idea I mention to them is to have a sign somewhere at the wedding saying that they have hired a professional photographer to take photos so you can rest your phones. Cell phones don't just appear at weddings either. I have seen and heard of it more and more that someone comes to the photo session who isn't in the photos and are taking pictures over the photographers shoulder. The poor groom can't even see his bride! So much for that shot! We are definitely living in a digital world which is really convenient and great for the most part. Nearly everyone owns some form of electronic device such as a tablet or smartphone. And with those devices pictures are digital. The pictures taken end up on Snapchat, Instagram, etc. So of course a lot of clients prefer digital files when choosing their method of photo delivery from their photography session. They think that just like the pictures they took with their devices they can do whatever they want with the digital images they receive from their photographers such as put a filter (which is usually not even good looking) on the image or resize them. And that is where they are 100% wrong! Clients are getting a License for Personal Use, NOT a copyright release. A blogger, Christine Tremoulet whose posts I have read says it perfectly, "These are actual, LEGAL terms. They have a meaning behind them. It is pretty important. If you give your clients the Copyright on their images, it means that they have the rights to do everything with them and you have NO more rights to use them." There is NO photographer with the correct knowledge that would ever give a copyright release. For some reason clients think that since they paid for the pictures they own them and can do whatever they want with them. Clients need to research their legal rights when they purchase digital files. Again, they are for ONLY personal use. They can NOT be altered in ANY way. They definitely can not sell them either. The photographer owns the images even though you have purchased them. The photographer has every right to display the images in any form whether online or in a portfolio. The photographer also has the right to sell any images they have taken. A good photographer will take their time editing your photos. Don't mistake me either, good photographers can also be quick at editing. So just because a photographer can edit quickly does not mean they are not being as detail oriented as a photographer who takes a little more time. There is so much that goes into editing just one photo, so imagine editing images from a wedding! Photographers do not enjoy or get a thrill out of making you wait for your images, trust me! This is by far the biggest complaint of them all by clients. It does not matter if your prices are too high, too low, or just right, clients will still complain. There will be clients that don't want to pay what you're worth. The clients that are never happy with your prices are not the right client for you. The clients that don't want to pay what you are worth don't value or understand the service you provide and the products that come along with it. The right client that values you and your work will pay your price. Clients think they are just paying for you to come and take their pictures. They don't think about the time it takes away from your family. They don't think about the hours it takes to go through and then edit their pictures. Plus those hours that are spent at a computer and not with family or working another job or even cleaning the house. With pricing, you can't please everyone or fit yourself into everyone's budget so don't try. People will always have their opinion on how much you are charging. You can read the article "Why Professional Photographer are so Expensive" and then let me know that my prices along with most other photographers are ridiculous. So what did you think? Am I out of line? To the photographers, am I right or wrong? To the clients, would you be willing to think again about some of these things?